Dalhart was born Marion Try Slaughter on 6 April, 1883,in Jefferson, Texas. As a teenager he helped to drive cattle between the Texan towns of Vernon and Dalhart, hence his professional name. After moving to New York, Dalhart received vocal training and started appearing in light operas and operettas. However, as this field became less popular, he tried other singing opportunities, making records in a more commercial vein. He recorded the original version of "The Prisoner's Song" on 13 August, 1924, with Carson Robinson providing guitar accompaniment. 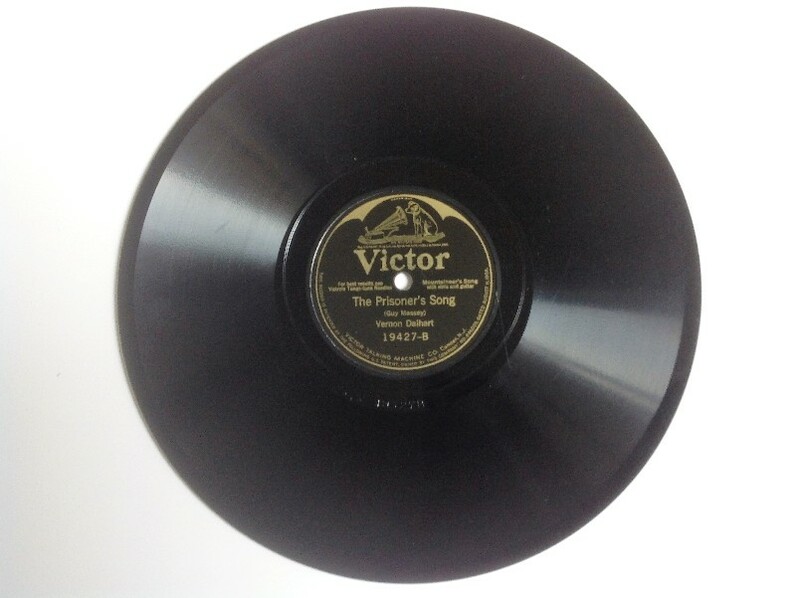 Released as the B-side of his Victor recording of "Wreck of the Old 97" (Victor 19427). Vernon Dalhart's version of "The Prisoner's Song" became enormously popular and helped make the single country-music's first million-seller. It went on to be issued on many different labels. 'Cause I'm tired of livin' a-lone. And there I'd be willin' to die.